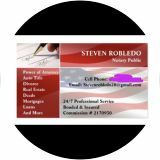 Bonded and insured notary public looking for work. I will come to you! Serving southbay and surrounding areas.